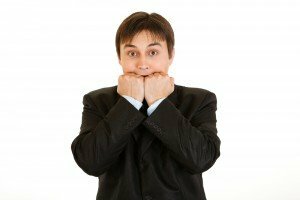 Start-up Business Fears: What’s Holding You Back? America is called the "land of opportunity" for a reason. Our country was founded on entrepreneurship. People from all over the world scrimp and save to come to the U.S. with the dream of a better life. They come just for the ability to start their own business. So, what’s holding you back? Deep down, I’d say 99% of Americans have an idea for a business. In their mind they say, “If only...” – and then they insert some sort of roadblock they believe is holding them back. Last Friday, I interviewed Stephen Key. He is an invention and licensing expert. To give you an idea of his success, Tim Ferriss of The 4-Hour Workweek book fame was one of his students! Last week, we told our viewers to send questions into the show for Stephen to answer regarding their small business ideas. We aired three viewer questions and each of them received a copy of Stephen's new book, One Simple Idea. Check out the video below to learn how Stephen responded to each of their unique ideas!